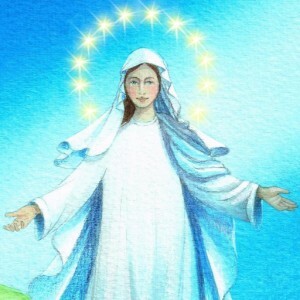 An artist’s rendition of Our Lady of Medjugorje as she’s described by the visionaries. 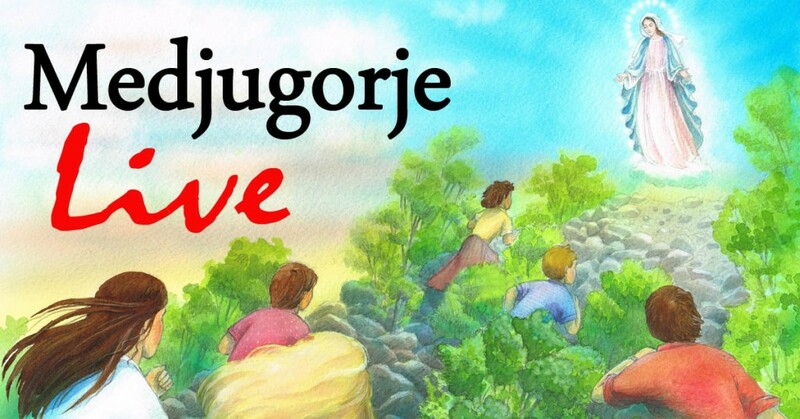 Medjugorje Live is the interactive online community and website dedicated to the apparitions of the Virgin Mary in the village of Medjugorje, Bosnia-Herzegovina. 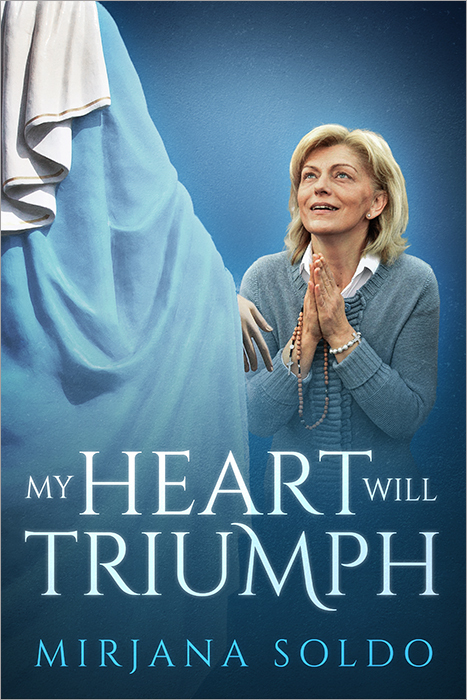 This site is made possible by the non-profit Queen of Peace Productions, the purpose of which is to help the world come to know God’s love through Mary. Medjugorje Live aims to bring you the latest information and messages from Medjugorje and provide a welcoming place for you to discuss this place of miracles with other believers. Sign up for our Medjugorje Newsletter to receive the latest Marian news in your inbox, no more than once a week, and join the Medjugorje Forum to discuss Medjugorje. By registering on the forum, you’ll get access to the members-only section of this website. Don’t forget to Like our Medjugorje Facebook page so you can stay up to date on the latest Medjugorje messages and information. How can we get showings of Apparition Hill near us? There are several Theaters in Warrington Pa, and Montgomeryville, pa., and others. We are about 45 min. north of Philadelphia, pa. I have been to Medjugorje in 2008 and the spiritual experience left me so full of increasing my Roman Catholic religion that I came back, wanting to tell everybody to go and visit the holy place. My confession there was so full of repent for my many sins. Adoration was an experience that I cannot fully recount. The encounter with the large bronze HOLY CROSS healed me of Cancer., becsuse when I came back I had a nasty car incident which left me with a very bad tummy ache. On medical examination doctors found out that I had Cancer, but with some chemotherapy, I might make. , which I did, always with the help of prayer at the Bronze Cross,s feet. I believed strongly that something was very wrong with me n prayed for healing. Holy cross healed me, Maria Bellizzi. 14. It was made in italy. Our of Peace please pray for me to bear the loss of my 14 years old daughter and to be able to be vindicated by God from all false accusations, gossip and persecutions of my ex husband and his kin. May God of justice and vengence strike the wicked even as they plot against me and my surviving child through Christ our Lord. Amen. I have great faith in your son. I’m sure Jesus is protecting our family and that you are interciding for us. Please give peace of mind and calmness to Anton at this moment of trial. Bless us all. When will we be able to buy the film Apparition Hill? I’m unable to go to a showing but I will buy the DVD when available. I’m an old person and have missed some emails. Is there or will there be a DVD and if so when. 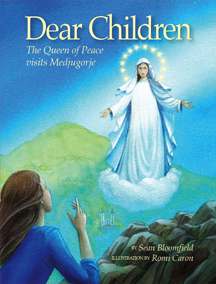 I visited Medjugorje in the summer of 2002 with students and their families from the University of Mexico- a totally moving experience that I will never forget – This was the World Youth Week – so hit- temperatures in the high 100’s – no air conditioning = but songs to Our Lady floating on the air through our open windows…. Such enthusiasm and prayerfulness…. I loved the book medjugorje the message by Wayne weible and would love to visit. I cannot financially afford too. This whole medjugorje miracle has totally consumed me. I don’t know how to feel or what to do with myself. I can’t get enough. For the last 4 years I have lived on pins and needles financially and may not have a home soon and for what ever reason being I’m not as consumed about it right now and I should be, but please everyone who sees this message especially our madonna pray for me deliver my message to our lord ask him to show me relief. I beg of everyone and. For the rescue of the children in the mine to be rescued. Thank you for the information on Medjugorje ! !